Double click any word in document for definition. The Virginia Shakespeare Festival, held in Williamsburg, became the official Shakespeare festival of the Commonwealth of Virginia when Governor Bob McDonnell signed Senate Bill No. 1123 on March 22, 2013. Senate Bill No. 1123 was sponsored by Senator Thomas K. Norment, Jr., of Williamsburg in the 35th year of the Shakespeare Festival at The College of William & Mary. While the bill was passed unanimously in the Senate, there was some backlash in the House, particularly from those representing Richmond, where the Richmond Shakespeare Festival is held each summer. The bill was passed by the House (79,Yes-21,No) on February 15, 2013. In Staunton, the American Shakespeare Festival, in partnership with Mary Baldwin College, operates year-round. An Act to amend and reenact § 1-510 of the Code of Virginia, relating to designation of the Virginia Shakespeare Festival as the official Shakespeare festival. 1. That § 1 - 510 of the Code of Virginia is amended and reenacted as follows: § 1 - 510. Official emblems and designations. Artisan Center - "Virginia Artisans Center," located in the City of Waynesboro. Bat - Virginia Big-eared bat (Corynorhinos townsendii virginianus). Blue Ridge Folklore State Center - Blue Ridge Institute located in the village of Ferrum. Boat - "Chesapeake Bay Deadrise." Cabin Capital of Virginia - Page County. Coal Miners' Memorial - The Richlands Coal Miners' Memorial located in Tazewell County. Covered Bridge Capital of the Commonwealth - Patrick County. Covered Bridge Festival - Virginia Covered Bridge Festival held in Patrick County. Emergency medical services museum - "To The Rescue," located in the City of Roanoke. Fish (Freshwater) - Brook Trout. Fish (Saltwater) - Striped Bass. Fleet - Replicas of the three ships, Susan Constant, Godspeed, and Discovery, which comprised the Commonwealth's founding fleet that brought the first permanent English settlers to Jamestown in 1607, and which are exhibited at the Jamestown Settlement in Williamsburg. Flower - American Dogwood (Cornus florida). Folk dance - Square dancing, the American folk dance that traces its ancestry to the English Country Dance and the French Ballroom Dance, and is called, cued, or prompted to the dancers, and includes squares, rounds, clogging, contra, line, the Virginia Reel, and heritage dances. Gold mining interpretive center - Monroe Park, located in the County of Fauquier. Insect - Tiger Swallowtail Butterfly (Papilio glaucus Linne). Motor sports museum - "Wood Brothers Racing Museum and Virginia Motor Sports Hall of Fame," located in Patrick County. Outdoor drama - "The Trail of the Lonesome Pine Outdoor Drama," adapted for the stage by Clara Lou Kelly and performed in the Town of Big Stone Gap. Outdoor drama, historical - "The Long Way Home" based on the life of Mary Draper Ingles, adapted for the stage by Earl Hobson Smith, and performed in the City of Radford. Shakespeare festival - The Virginia Shakespeare Festival held in the City of Williamsburg. Shell - Oyster shell (Crassostrea virginica). Song emeritus - "Carry Me Back to Old Virginia," by James A. Bland, as set out in the House Joint Resolution 10, adopted by the General Assembly of Virginia at the Session of 1940. Sports hall of fame - "Virginia Sports Hall of Fame," located in the City of Portsmouth. War memorial museum - "Virginia War Museum," (formerly known as the War Memorial Museum of Virginia), located in the City of Newport News. The following information was excerpted from the Code of Virginia , Title 1, Chapter 5, Section 1-510. Title 1 - GENERAL PROVISIONS. § 1-510. Official emblems and designations. Norment, Jr., Thomas K.. "SB 1123 Virginia Shakespeare Festival; designating as official Shakespeare festival." Virginia General Assembly . Commonwealth of Virginia, 22 Mar 2013. Web. 30 Apr 2013. "Code of Virginia." Virginia's Legislative Information System . Commonwealth of Virginia. Web. 30 Apr 2013. Mertens, Shelby. "Virginia Shakespeare Festival to be or not to be ‘official’ Shakespeare Festival?" Virginia Business Magazine . Virginia Business Publications LLC, 01 Mar 2013. Web. 30 Apr 2013. Virginia Shakespeare Festival: Official website of the official Virginia Shakespeare Festival at the College of William & Mary in Williamsburg, Virginia. American Shakespeare Center: Official website of the American Shakespeare Center in Staunton. Richmond Shakespeare Festival: Official website of the Richmond Shakespeare Festival. Visit Virginia Beach: Information on the Hampton Roads Shakespeare Festival. More symbols & emblems: Complete list of official Virginia state symbols from NETSTATE.COM. 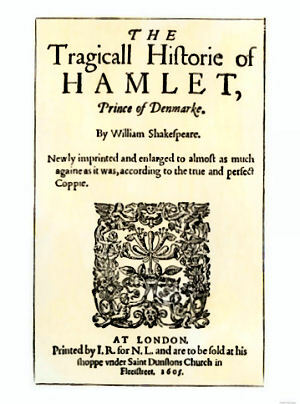 The text is based on the Oxford Edition, which brings readers closer to Shakespeare's plays as they were first acted than was ever before possible. This Second Edition introduces new scholarship and editorial features that invite readers afresh to Shakespeare's plays and poems. Stephen Greenblatt's dazzling introduction, updated for this edition, creates a window into the culture of early modern England; Shakespeare's life in the theater; and the businesses of printing, publishing, and textual editing. The works themselves are enhanced with lively introductions, also updated, as well as ample glosses, annotations, a textual note, and new annotated bibliographies and filmographies. 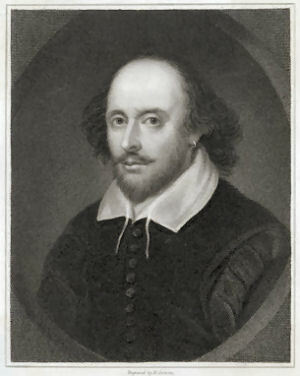 Andrew Gurr's essay, "The Shakespearean Stage"; a new timeline; new maps; a glossary of theater and printing terms; contextual documents; and redesigned genealogies provide additional help for readers. The distinguished Pelican Shakespeare series has sold five million copies. 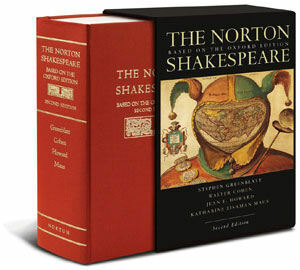 Now Penguin is proud to offer this fully revised new hardcover edition of The Complete Pelican Shakespeare . Since the series debuted more than forty years ago, developments in scholarship have revolutionized our understanding of William Shakespeare, his time, and his works. With new editors who have incorporated the most up-to-date research and debate, this revised edition of The Complete Pelican Shakespeare will be the premier choice for students, professors, and general readers for decades to come. A biography that enables us to see, hear, and feel how an acutely sensitive and talented boy, surrounded by the rich tapestry of Elizabethan life; full of drama and pageantry, and also cruelty and danger; could have become the world's greatest playwright. A young man from the provinces—a man without wealth, connections, or university education—moves to London. Will in the World interweaves a searching account of Elizabethan England with a vivid narrative of the playwright's life. We see Shakespeare learning his craft, starting a family, and forging a career for himself in the wildly competitive London theater world, while at the same time grappling with dangerous religious and political forces that took less-agile figures to the scaffold. Actors Talk About Shakespeare features personal interviews with a stellar collection of prominent American, Canadian, and British performers of Shakespeare onstage, including Kevin Kline, Kenneth Branagh, Derek Jacobi, Stacy Keach, Zoe Caldwell, Martha Henry, William Hutt, Tony Church, Nicholas Pennell, and Geoff Hutchings. In conversations equivalent to a magician telling his secrets, Mary Z. Maher uncovers the actors' process. The book speaks to theater patrons, to actors both novice and experienced, and to educators who teach Shakespeare. Each chapter profiles a career in context, using the actor's words along with supporting research material. The result is a treasury of talents, tactics, and tales from veteran performers who return often to Shakespeare from careers in film and television.